Brazil’s Supreme Court (STF) justices are deciding this wednesday over whether Luís Inácio Lula Da Silva, Brazil’s 2018 presidential election frontrunner, should be allowed to continue his legal appeals process in the higher courts. The STF session, which began at 2 PM BRT, must determine whether Lula should go to jail after a local appeals court (TRF-4) found the former President guilty last month of money laundering and corruption. Lula’s legal defense team argues that Lula da Silva should not face immediate arrest since a final verdict can only be enforced after the appeal process is complete. The Brazilian justice system offers defendants a range of appeal measures to in order to postpone the application of a guilty verdict. On Monday, leading up to the court decision, lawyers and judges from various courts sent petitions to the STF in favor of hearing Lula’s habeas corpus appeal. 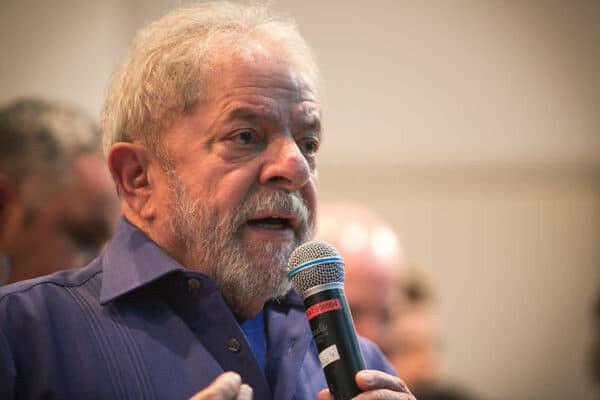 Lula supporters argue that the ongoing judicial proceedings against the former head-of-state are politically motivated attempts to disqualify him from participating in the 2018 Presidential elections. Luiz Inácio Lula da Silva, who was imprisoned during Brazil’s military dictatorship, later became the most successful President in Brazil’s history, lifting millions out of poverty and making Brazil’s economy work for ordinary people during his mandate, which ended in 2011.